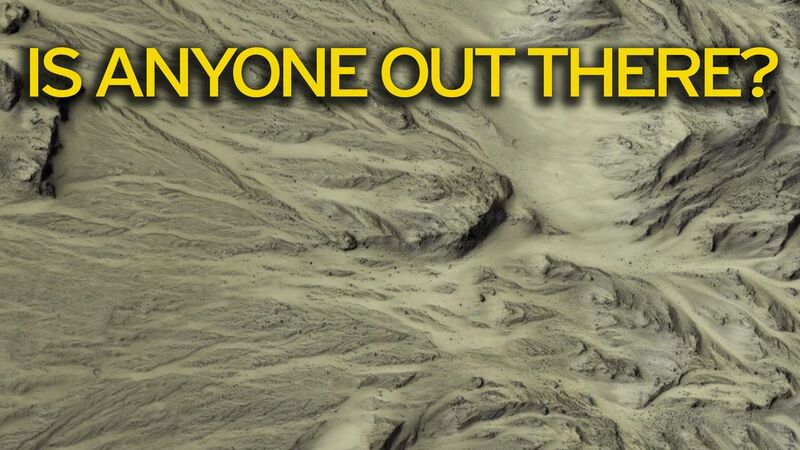 The intriguing question of whether there’s life on the Mars has obsessed ­­­mankind for generations. Within two decades the ­answer might be ­a definite ‘yes’ because scientists hope to send ­people to the red planet. There may be no little green men but there could be humans wearing special suits and living in capsules. It is 20 years since NASA ’s Pathfinder spacecraft touched down on Mars and, using a robot, sent a huge amount of data back to Earth. Since then NASA has sent more landers and orbiters. There are currently eight robots from various countries examining the planet. They have found water, raising hope microorganisms once existed there and it could sustain human life. And it might not be a moment too soon. Last month physics genius Prof Stephen Hawking, 75, warned our days on Earth are numbered and we need to colonise another planet within 100 years or face the threat of extinction. He said: “The Earth is becoming too small for us, our physical resources are being drained at an alarming rate. The scientific community agrees and NASA believes the first person to step on Mars is alive today. 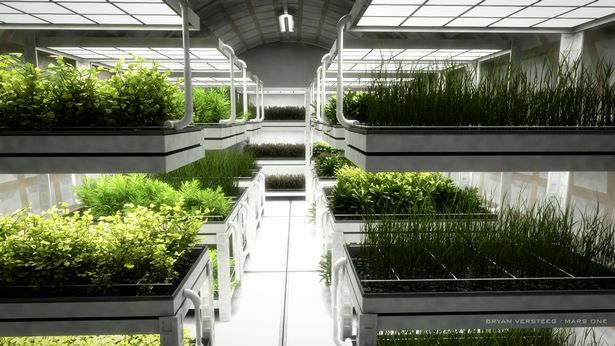 With private firms examining the potential of a commercial Mars mission, colonising the planet is not beyond our reach. 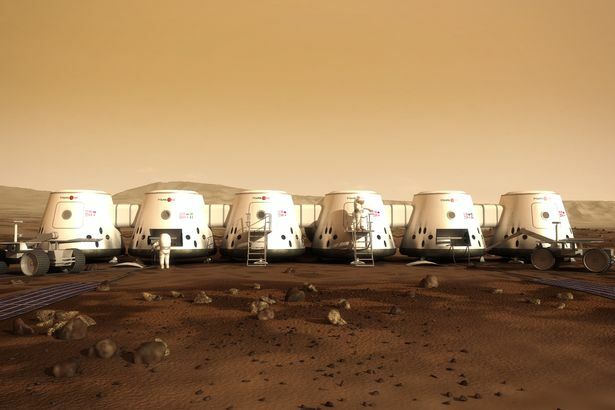 The organisation Mars One is developing plans for a permanent human settlement and are training astronauts to take the six to eight month journey to the red planet in 2031. They would live in capsules and wear specially designed suits to protect them from the planet’s radiation. Space X, run by entrepreneur Elon Musk, is developing rockets able to reach Mars and wants the first manned mission to the planet by 2026. Each would take 100 people and Musk wants 1,000 such ships launched in 40 to 100 years. 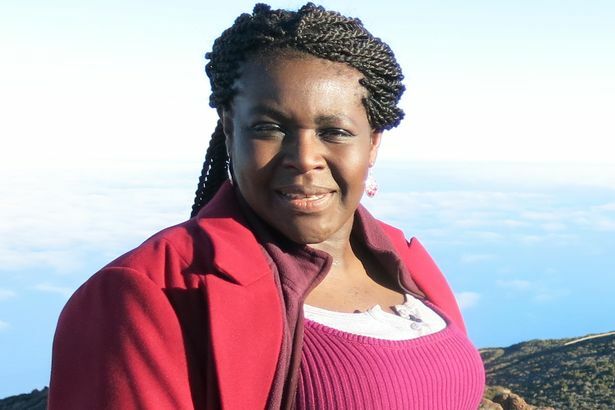 Dr Aderin-Pocock, 49, has even admitted she would like to retire to the red planet. She said: “On Earth we have all our eggs in one basket. “We know that extinction is a possibility after what happened to the dinosaurs and we are vulnerable if, for example, a pandemic sweeps across Earth. The hopes for a future on Mars have grown in tandem with the technological advances that have expanded our knowledge about the fourth planet from the Sun. 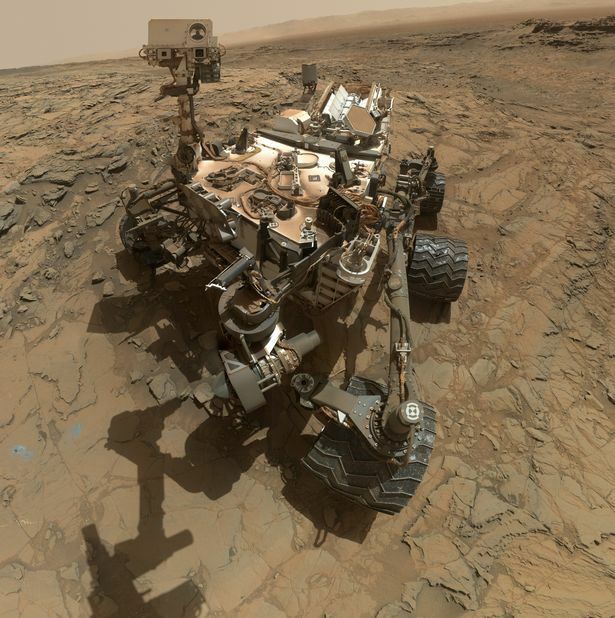 NASA’s Mars Pathfinder released its 23lb six-wheel robotic rover Sojourner. It only travelled 100m but sent back 550 images and about 8.5 million temperature, pressure and wind measurements back to Earth. 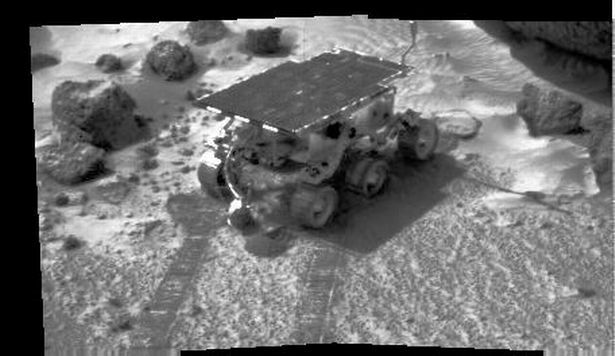 Sojourner was followed by the far more mobile Exploration Spirit and Opportunity rovers in 2004, and the Phoenix in 2008. But it was NASA’s Curiosity rover, which is still sending information back to Earth, that marks the biggest shift in the space age advances. It was launched in 2011 to determine whether Mars was ever able to support microbial life. The car-sized robotic rover landed in Mars’s Gale Crater in August 2012 and started exploring. 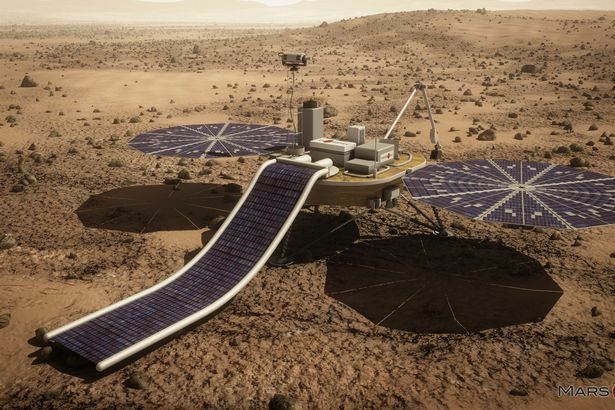 Powered by electricity generated from the heat of Mars’s radioactive plutonium decay, it can climb obstacles and rocks up to 2ft high and travel about 30 metres per hour. It can also analyse samples drilled from rocks in the hope of finding traces of water and alien lifeforms. Prof Chris Lintott, 36, an astrophysicist at Oxford University, said these huge advances show the idea of forming a human colony on Mars is well within our grasp. He said: “Everyone really wants to know if there will be astronauts on Mars, or if we’ll be able to go to Mars on holiday. I’m much more hopeful than I’ve been in a long while. 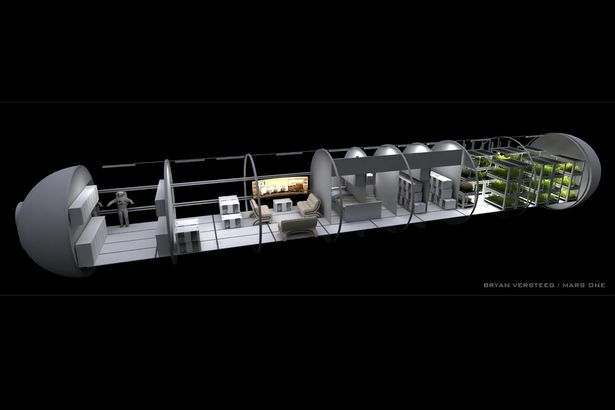 The technology barriers to forming a human settlement on Mars have been overcome. “Sojourner was a huge deal at the time but it was basically a tea tray rolling around. She said: “There are all sorts of medical challenges in being in space for that long, like radiation, and how being in a weightless environment means your bone density reduces. “The other challenge would be psychological. Astronauts on the International Space Station can see Earth, and they’re in close contact with people on Earth. “With Mars I think it will be quite scary being out there on your own. And also you’re in a pretty small tin can, with the same people for up to eight months. That can get quite grating after a while. July 14, 1965: NASA’s Mariner 4 space probe captures the first ever image of the red planet’s surface as it flew past. 1971: Mariner 9 flew round Mars, becoming the first craft to orbit around a planet other than Earth. 1976: NASA’s Viking 1 and 2 became the first American spacecraft to land on the surface of Mars. July 4, 1997: Pathfinder landed on Mars and NASA released Sojourner rover. 2004: Spirit and Opportunity, NASA’s Mars Exploration rovers, landed on opposite sides of the planet. 2008: Phoenix rover was sent to Mars by NASA. 2012: NASA’s Curiosity Rover landed on Mars. 2020: The European Space Agency plan for their ExoMars rover to land on the red planet. 2020: NASA hope to launch their Mars 2020 rover to take rock samples from Mars. 2022: Mars One plan to launch an unmanned demo mission to Mars to prove it is possible and habitable. 2026: Space X, run by entreprenuer Elon Musk, wants to commence their first manned mission to the planet. 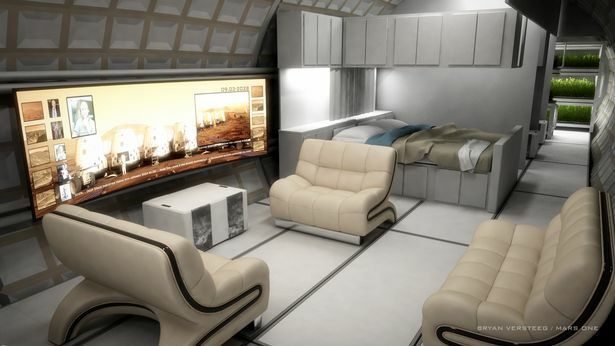 2031: The first Mars One astronaut crew are set to take off, landing a year later in 2032.